Videos are media elements. Like all components in Landing Lion, you can add a video to any page or template by dragging it from the Right Pane and dropping it on the Canvas. There is no limit to the number of videos you can add. ⚠️ Caution: videos take up a lot of memory. The more videos you add the heavier your page gets, causing your page to load slowly. Videos are embedded in an iframe. This is because, unlike images, Landing Lion does not host videos. Major video hosting sites (i.e. 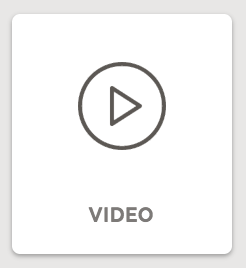 YouTube) have an embed snippet for each video they host. Copy-and-paste a video's embed snippet on one of these sites to include it on a page using the Video component.